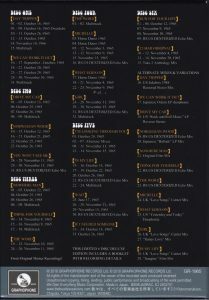 Ultimate Set Including Many First Appearance Sound Sources That Have never been recorded anywhere. ■ It is longer than the previous episode, including those that are recorded for the first time in an unedited manner. The Beatles, which was already locally famous in local Liverpool before his debut, swept the UK and Europe in 1963 since his debut in 1962. As soon as 1964 opened, he recorded the number one in the US with “I want to hug” In a short period of time it quickly became a global star. Meanwhile, I was busy with a lot of TV and radio appearances as a promotion as well as live performances in parallel. In the first rice in February 1964, only two performances of the live and Ed Sullivan show appeared to fuel the hunger of the fans, full of summer tours in the US. In the meantime, I also have movie shoots, and I wonder where the album had time to produce. The Beatles ‘album also reflected the Oldies’ influence at first. Perhaps if the Beatles had broken up in “For Sale”, it would have been recognized as a posterity Oldies band. After “Help”, artistic gradually became more highly evaluated than idle and it reaches the present. In the early days, John ‘s talent bloomed quickly, and in’ Hard Days Night ‘John’ s charm was full of John ‘ And later that Paul began to bloom her talent later than “Help”. 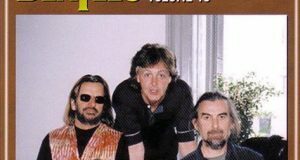 Not to mention “Sargent Peppers” and “Abbey Road”, Paul was the musical initiative in the late Beatles. John and Paul antagonized for the first time in “rubber soul” in that transition period, and in “revolver” it is an album in which John and Paul were completely reversed. It can be said that the flowering time of talent has revealed that the Beatles has long reigned as a top runner throughout the 1960s, that John changed from early to middle and Paul slightly shifted from middle to late, leading to the evaluation of future generations. In this way, the sixth Beatles album “Rubber Soul” is said to be a masterpiece of the era when John and Paul talented each other. Release was December 1965. After the second American tour, it was an album that was made in just over a month to make it in time for the Christmas shopping season. However, such a briskness is an album that does not felt dust and gives a very calm and moist impression. More noteworthy is that this album is not an old rock and roll. It seems that beautiful songs are lined up enough to inform you that the Beatles are not just a rock band and that Brian Wilson is also shocked by listening to this album, a very highly artistic completion It boasts degrees. This work contains the recording session of “Rubber Soul”. The beginning of this work is not an album record, but two songs that were recorded in the same session at the same time and released as a single. “Day Tripper” was played in the 1966 tour and familiarity with the less performing ambition of the Japanese performance is deep. John and Paul take a twin vocal with impressive vocals using chorus work, guitar riff and falsetto. In the Beatles of this period when the two are the main singing style to sing the songs each composed, it is unusual to sing with the two who reminiscent of the beginning. It was released on both sides in the UK in the coupling with “Let’s hold a love” below, but it was treated as B side in Japan and the United States. Disk 1 Track 1 is take 1. That guitar riff is played from Paul’s count. In contrast to the stable drums of apples, the riff of the guitar is somewhat unstable yet. Truck 2 Take 2 was played after the announcement. Instant playing did not begin, and the Beatles’ members talked aloud somehow. Immediately interrupt the performance and shift to take 3. This take 3 is supposed to be a momentous and wonderful performance, which may have been extensively reviewed beforehand. It is still a simple take that does not contain guitar, drums, bass, vocals and simple performances and tambourines of break parts. Vocals are also single tracks and fresh. Truck 4 re-records the guitar, and vocals are another rough take. Truck 5 finally adds tambourine and the outline of the song is clear. Vocal is also another rough alternative. The vocal becomes double track from the track 7 and the thickness increases. In addition, it seems that it was decided that the part of the interlude that was not completed in the previous take was composed of a guitar and a chorus. 【Hold Your Love in Hell] “Dei Tripper -” and a single song released on both sides A, in the United States this alone released as the A side, this number is also the number 1 in the United States. It is a catchy song that Paul’s talent was demonstrated to its fullest. On stage it is being played on the UK tour of winter 1965, but unfortunately there are no recordings left. Because I did not shoot so much at the stage or because it was difficult to play on the stage, I get out of the set list the following year. Paul frequently played this song since becoming a solo, and started playing as an acoustic number in the tour, including unplugged in 1991. 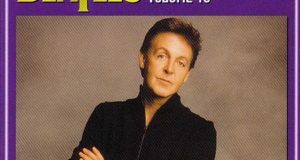 Disk 1 Tracks 16 and 17 are a demonstration sound source which is played by Paul’s acoustic guitar. Although it is a very simple performance, the charm of a song can already be known. Although the origin of this sound source is unknown, probably Paul recorded it myself when there was time. The session began on October 20th. Track 18 is take 1. There is John ‘s misunderstanding and begins with Paul’ s count. It is a very early version that just plays the chord to match the drum, it is a recording that left extremely to the left. In track 2, Paul’s single vocals are superimposed. There is no Harmonium which determines the impression of the song, and it gets a very refreshing impression. Harmonium is superimposed on track 22, finally close to the final version. Vocal is another take. I felt that my song was not good, I re-recorded the vocal again on October 29th. That is after track 23. Furthermore, on track 24, it is processed to double track, and you can listen to vocals with two poles. The chorus part of John and George is mixed on the front, and it is understood that this is for confirming the vocal and the chorus. Decorating the first song of the A side of the Beatles album is always a song with impact. Not to mention “Please Please · Me,” which starts with a high count, “With the Beatles”, suddenly begins with vocals, “For Sale” “Help”, and “Hard Days Night”. “Rubber Soul” is selected as “Drive My Car” which starts normally as a matter of course. This song was recorded on October 13, 1965. Disk 2 Track 1 is a basic track starting from the count of poles. If you listen to this you can see how well the rhythm was conscious of the soulful performance that emphasized. As the main is based on the bass part of the guitar which is about the same phrase as the baseline, I succeeded in creating a very grave rhythm. While it is a basic track, I hear that pole is speaking only at the part of chorus in the part of bitbeebie ye. The main vocal is Paul, John sings only part of the rust. But Paul’s live since becoming a solo is all through Paul singing. This song is indispensable for talking about the Beatles. In addition to the acoustic guitar, it was the first song to introduce sitar. Of course George is playing. The lyrics were singing something John secretly secretly hiding in Cynthia and singing in love with the lyrics “We talked until two and then she said” It’s time for bed “(We talked till late at night, After she said “It’s about time in bed”), it is configured to have long interludes. Indeed, it seems that this interlude part represents John and cheating partner’s affair. Returning the story back to the song, as John is always like this, the process of completing songs over and over with elaborate recordings is recorded in this work. Take 1 recorded on October 12, 1965 is a relaxed and uncomfortable tempo compared to the final version, with sitar being more emphasized arrangement. The name of the song is still announced in the tentative title “THIS BIRD HAS FLOWN”. Disk 2 Track 10 is still something John is playing and playing with Akogi before the sitar is overlapped yet, vocals are also single track. When this becomes the truck 11, sitar joins and the “burning smell” comes up with the impression of the song. Vocals are double tracks. Akogi, if anything, is a moderate mix with a sitar on the front. On track 12, not only is Akogi and Sitar mixed in the same amount, but the biggest change is that it plays the tempo with great care. It finally feels like it has approached the final version. The date has changed and Take 2 is recorded on October 21st. Even at this point still the title is called “THIS BIRD HAS FLOWN”. John’s vivid single vocals are a great take for disc 2 track 16. Sitar is the main thing to match the rhythm picking by the apple back. It is followed by Take 3, but there is no recording left at the beginning here. I think that it would have been with an enthusiasm for completing on this day, and it is starting with take 4 more. As expected it seemed that sitar was over-emphasized too much, as in the final version, sitar remained at the level of seasoning and the main became acoustic. It is recorded that the intro is resuming after John failed twice. [You Want to See Me] It is a flowing song with impressive cutting piano and cutting guitar that is exactly John Lennon. Hammond organ is joining, this is the performance of Rohdei’s Mal Evans. Paul plays this song on a solo tour twice in 2004 and 2017. In 2004, it was reproduced on the stage in a form close to complete copying, but in 2017 it was due to Akogi. The disk 2 track 24 is take 2. Vocal is not yet in it and it is a basic track. Unfortunately there is another mix for this song, but another take is currently unearthed and everything is included in this work. It is a song that is very impressive for Japanese fans as it is also performed in the Japanese performances and becoming a single. John, Paul, and George are choruses for six people because they are overlapping choruses in double tracks. Disk 3 Track 1 is take 5. It is a basic track and no vocals. The performance is still quite inconvenient. Track 2 is the first vocal insertion. Although singing quite carefully, it is obviously a different take vocal. Great. John sometimes makes places and sings places. You can see that the style of vocals and choruses is nearly complete. Track 3 is another vocal again. Better than the first vocal / take, it is impressive that John is singing to fit relatively other two people. John ‘s vocals in the chorus part will be made to be relieved where it comes out quickly. Also in the final version, when entering the lyrics part from the interlude, there is a high guitar sound of Kahn, but here we have not entered yet. There is no way to know what process was added, but if you do not have that, you will not be shut down yet, it is an accent that makes you feel good. Here George’s vocal song finally appears. It can be said that George’s unique undulating songs. Paul still used Höfner at the stage, but he is already using Ricken at the recording. But since this song uses the base through fuzz, there is a feature in the bass sound. Disk 3 Track 9 is take 1 of “Think For Yourself”. There is no vocal and it is a basic track. Beginning with the count of George, the performance is not felt yet. Track 10 is a very interesting content. Whether it’s a studio or not, it is the atmosphere that the tape happened to have happened by members while practicing “Think For Yourself” while taking a break. The interactions of the lively Beatles in the studio are recorded, and the fan is nosebleed buzz. There are no other examples in which the inside of the studio remains relatively long like this. This is a conversation between members of the Beatles of nature, singing humming songs, deliberately telling a rude voice, making fun of other members. John takes the initiative and repeatedly repeats the chorus part of “Think For Yourself” whether it does not go well. Beyond the Beatles, George Martin’s voice is heard. Anyhow it’s fun playing in the studio and funny. Indeed, the Beatles’ studio memorizes even when it thinks that work was progressed with this appearance. Two types of George’s single vocals are recorded on tracks 13 and 14, respectively, and these two are mixed down to complete the final version. The title is called “The Word”. It is a confusing subject matter whether those who named this title that “For sale” has a cover song called “Words Of Love” knew it. A wonderful masterpiece full of sprints. Recording is taking place on November 10, 1965. John’s guitar suffers according to the bouncing intro’s piano, and the chorus work is clear. And in the chorus part John pops out of the chorus of the chorus and takes a solo vocal. It is a perfect Beatles-style song reminiscent of the early days. 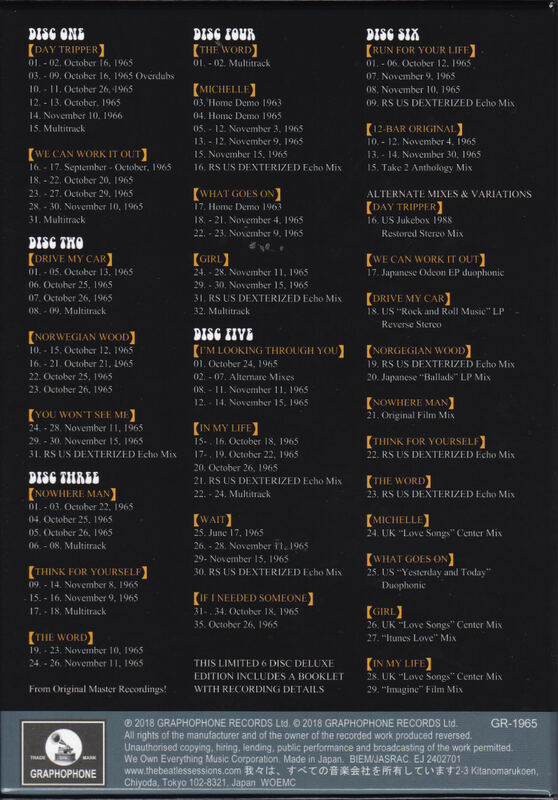 Disc 3 The track 20 is a relaxed tempo outtake. Vocal also takes another take. The part of the rust is in an unfinished state and not yet inserted. It is a song that creates a quiet and calm adult atmosphere that is unlikely to be a rock band. It is the only song that the Beatles sang with lyrics other than English. This French was written after being supervised by her because his wife, Liverpool’s friend Ivan Vaughn, was a Frenchman. French translation of almost English poetry. As a result, this song is always irregularly sung in Paul’s French performance regardless of age. Also when I played in the 2010 White House, President Obama ‘s wife is still named Michelle, I am laughing, “I wish for the president to forgive”. First recorded disc 4 Tracks 1 and 2 are recordings of a draft rather than a demonstration of the same song. Track 1 is recorded in 1963, and although you can hear the phrase like that, it is still time consuming to be in the form of a song. Truck 2 was recorded in 1965, which is quite close to “Michelle”, but the finally cut phrases were scattered and interesting as an early initial version. Subsequently, track 5 is take 1. Paul is almost singing in a cappella in accordance with the rhythm that moves monotonically. The tempo is a little earlier. Paul is singing lively, there is no such melancholy atmosphere, no chorus is included, this is also an early version. Take 2 is another vocal again. Here Paul’s voice is mixed quite a lot. It is slightly echoed, it is part of trial and error. I move from here to the album B side. A song in which three names were credited with only “Lennon McCartney = Star Key” which was recorded by tacit understanding that each album includes George and apple songs one by one. The idea of ​​this song is old, John is said to be in his teens, but Paul added the middle part and completed it. It’s like a process like “Free As A Bird”. That is evidence, Disc 4 Track 17 is a demonstration sound source John vocalist recorded in 1963. Although the song is obviously “What Goes On”, there is a middle part not in the final version, and it is interesting as it is a short sample source for auction exhibition. Take 1 on track 18 is a basic track starting with John’s count. Trucks 19 and 20 are each recorded double vocals individually. 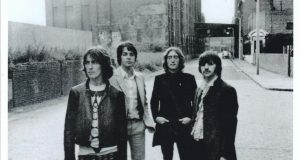 At the beginning the album “Rubber Soul” wrote that John and Paul’s talent are antagonistic, but this song and “In My Life” will represent the expression of John’s talent. It is an idea that effectively introduced breathing, it is a famous melody, good romantic and impeccable masterpiece impeccable. John ‘s solo album “Double Fantasy” released in 1980 contains the song “Woman”. In an interview John says “It is a 1980 edition girl.” Indeed the parts that are similarly used in the chorus part are used very similarly. Disc 4 The track 24 is only the announcement and the sound that plucks the guitar. Take 2 from track 25 is the monitor mix. The melody will follow properly while only riffs to engrave. Track 28 is a baroque guitar phrase that adds a noble atmosphere to songs. It is a session of ‘I’ m Looking Through You ‘famous even for’ Sessions’ known for the existence of numerous outtakes from long ago. Take 1 creates a song atmosphere by undulating the melody according to a monotonous rhythm. Paul’s settled vocals, which can not be dispelled quite incomplete impression, will inform you that this is a demonstration sound source. Paul is playing this song even at the solo concert. All outtakes of this song, such as Abbey Road Shaw, John Barrett, Sessions, Anthology, etc in 1983 are based on this take 1. It is interesting that the ending becomes a hatchachan and John is making noise with a stupid voice. Take 4 of track 8 is redoing the intros twice. Just like an intermediate between take 1 and final version. This is not only a masterpiece by John, but also one of the songs that represent the Beatles. It is adopted in the opening scene in anthology in relation to lyrics. The Beatles era did not play at the stage, but George was playing with a big change in arrangement on the national tour of 1974. It is established as a song of John, but Paul argues that that is his song, John is misunderstanding. In any case, it is definitely an important masterpiece for the Beatles. Recording took place on October 18th. Disk 5 Track 16 is take 3. The vocal tracks are pointing to the right because the track on the left is open for dubbing. The interlude is incomplete and shed lightly on the guitar. This song is part of the “Kimo” of “In My Life” along with the idea recorded earlier with George Martin’s high evaluation of that interlude, which is not normal speed. On the recording on October 22, the date changed, the interlude that was not completed yet has been undertaken. The piano solo which is quite different from the one adopted for the track 17 is very interesting is inserted. It is based on an organ such as Prokol Harum and does not go out of the field of studies, but it can be said that it is the day when the direction to do interlude by keyboard, not guitar. Track 18 is an interlude study by piano. In addition, the track 19 doubled the speed of the piano and finished like a harpsichord tone. 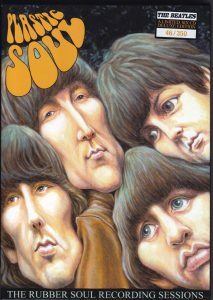 It is a song that is not so popular as a topic, and it is a song different in “Rubber Soul”. Actually it was prepared for the album “Help”, it was a song that became a moment. “Rubber Soul” was the last day of the recording and it means that the songs are missing, because there was not enough time to make new songs to make it in time for the Christmas shopping season, it is a song that has recovered suddenly. Disk 5 Track 25 is take 4, but this is all this recording June 17, 1965. The Beatles decides to complete the song by duplicating this recording based on the record. In the track 26, vocals are played, in the track 27, the guitar is adjusted by stepping on the pedal, and in the track 28, the tambourine and maracas are dubbed to alleviate discordance with other songs with different recording times. One of the representative songs of George of the Beatles era which was performed also in 1991 Japanese performances as the only George vocal song which was sung in the Budokan performance in 1966. Brilliant melodies in a gleaming guitar tone and light tempo have an atmosphere that seems to hit anything. At that time it was not released as a single from the power relationship within the band, but Hollies covered it and was single-cut instead. George said that he was dissatisfied with sales as a result of a crushing defeat. Recording took place on October 18th. The first recorded disc 5 track 31 is a basic track starting with take 1, George’s count. This song has not been excavated outtake, here multitrack, vocals, tamparin etc are recorded.